Imagine a place where luxury homes and custom home sites are tucked into a village-like community surrounded by an exquisite golf course, while preserving the native vegetation. The result is a residential and golfing preserve whose design and amenities achieve the highest level of quality and harmonize with their natural surroundings. The master plan was designed to preserve the beauty of the land and provide a private sanctuary to call home. Hampton Hall real estate falls in the moderate to upper price tier for homes and POA fees. 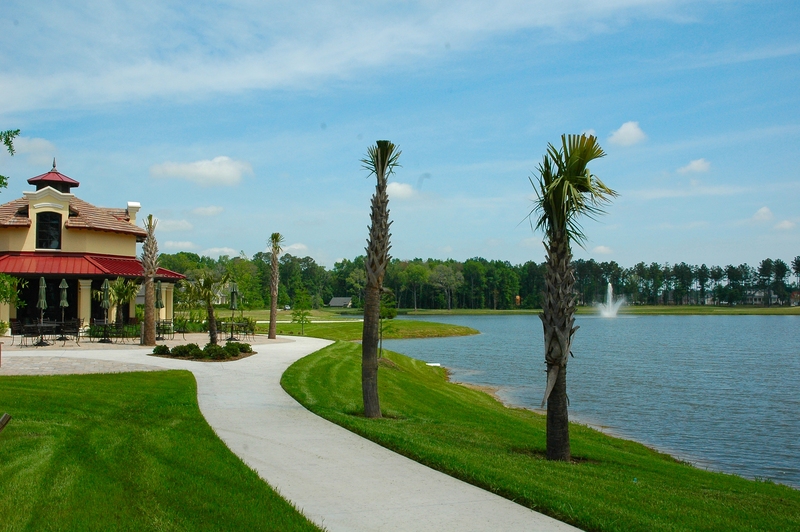 The community of Hampton Hall is designed with activities for every lifestyle. The Community Clubhouse offers family or private dining, a banquet hall for dances and parties, library, billiards room, card rooms and club meeting rooms. The Sports Complex has an indoor lap pool, fitness center or aerobics room and steam room. For your golfing enjoyment the Golf House includes a Pro Shop, men’s and women’s locker rooms, card rooms and a bar and grille. Additionally, there are tennis, basketball and bocce courts as well as an outdoor pool. Hampton Hall has 6 1/2 miles of biking and walking trails. This special community, inspired by the close-knit European villages was created to cater to the lifestyle of every resident, both golfer and non-golfer alike. The private golf course at Hampton Hall will open to just 438 members. It opened for play in March of 2004 and promises to be one of Pete Dye’s finest accomplishments. The course plays from 5,329 yards to 7,489 yards, depending on which of the five sets of tees are played. A gratifying experience for golfers of all levels is ensured with wide fairways and landing areas, unobstructed green approaches, and a safe route on every hole. For those who seek a challenge, the safe route can be traded for a variety of risk-reward shot making opportunities.